Through examination and testing, we are able to identify the root cause of problems. Then, we implement a treatment strategy that emphasizes rapid relief and reduced chances of relapses. Once an accurate diagnosis is made, a custom tailored multi-disciplinary treatment plan is developed that employs the best research-proven treatment methods. Our team of professionals will welcome you to our office. They'll be happy to answer any questions and help put you at ease. Contact us today to set an appointment. Together we will find the right treatment that relieves your pain. Find Pain Relief With Our Evansville Chiropractor! 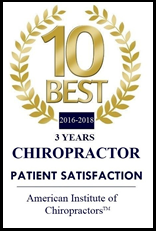 Our Evansville chiropractors, Dr. Eric Mitz and Dr. Brandon Moore, have been providing natural pain management and relief for a total of more than 25 years. Whether you’ve been receiving care previously, or this is your first visit to a chiropractor, we strive to make each appointment as productive and comfortable as possible. 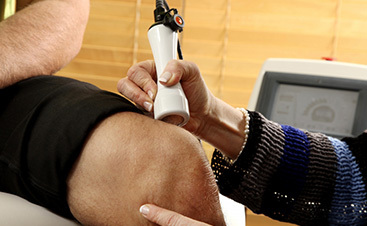 Our primary focus is developing an individual treatment plan tailored to you and your health. We offer Chiropractic Care, Spinal Decompression, Physiotherapy, Massage Therapy, and Acupuncture. Dr. Mitz and Dr. Moore treat patients from all walks of life from children to adults throughout the greater Evansville, Indiana area. 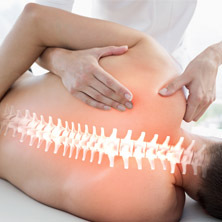 Whether you’re seeking to resolve a herniated disc, sciatica, migraines, TMJ, neck or back pain related to pregnancy, sports or workplace injury, or a car accident, or another condition that is causing pain or discomfort in your daily life, we have the experience and expertise to create a natural and effective treatment plan that is right for you. At Integrated Physical Medicine, you can be assured that the holistic care provided is natural, non-invasive and of unbeatable quality. Our team is excited to get to know you and help you start living a pain-free, healthy lifestyle.